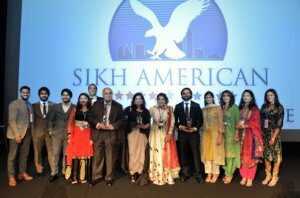 The Indian American business community came together at the Liberty Science Center in New Jersey Oct. 7, for the annual gala of the Sikh American Chamber of Commerce.. This year’s gala was the biggest yet, organizers said, with more than 500 entrepreneurs in attendance. 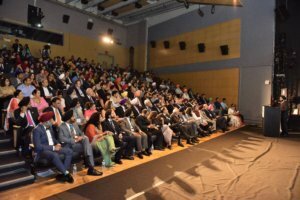 The speakers focused on emerging business opportunities in both the United States and India. 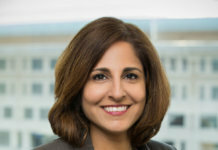 The guest speakers at the 6th annual gala included Kanwal Rekhi, managing director of Inventus Capital Partners and first Indian-American founder and CEO to take his company public on NASDAQ; Reshma Saujani, founder of the non-profit Girls Who Code; and Vijay Chattha, founder and CEO of VSC and Wareness Studio. The Gala is meant to showcase successful Sikh entrepreneurs coming together to promote mutual prosperity, according to the organization’s website. 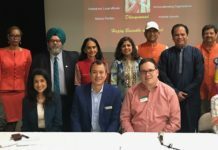 “I’m honored to contribute to this event and share my journey in hopes that it may inspire others to become change agents,” Saujani is quoted saying at the event, according to a press release from SACC. Rekhi discussed raising millions of dollars for startups in the U.S. and India and his work on regulatory reform in India.